Patrick Goclano Is the Aquatic Director of the Hubbard Community Pool. 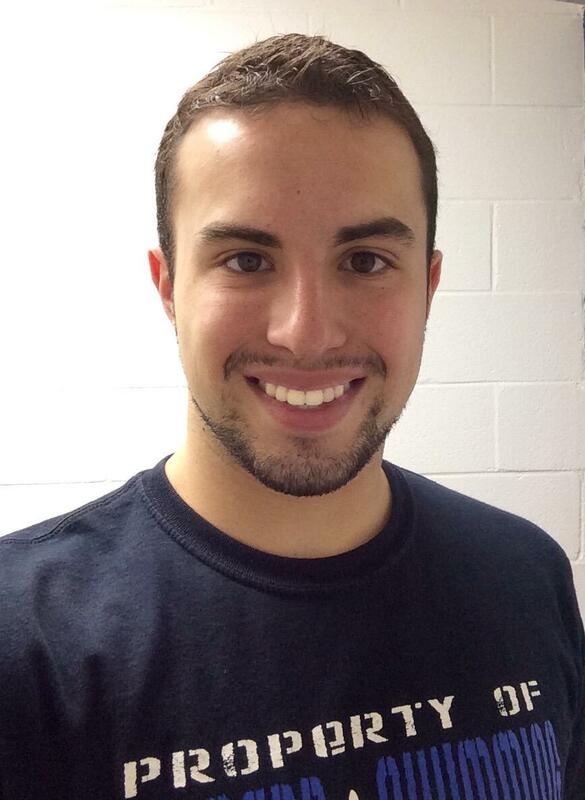 Patrick began working at the Hubbard Pool first as a Lifeguard in 2010 while still in High School! The opportunity to enter aquatic fitness began with a program called Hydrospin in 2011. In 2012, Patrick slowly started to work his way into shallow water and then deep, as he moved up to lifeguard supervisor and then in February of 2017 Patrick Became the Aquatic Director. Specialty: Patrick specializes in vigorous shallow freestyle formatted classes, which includes high intensity cardiovascular and full body toning. Hello, I'm Darla Evans. I started at the pool in March of 2014 when I was hired as an evening and weekend secretary. I worked Tuesdays, Thursdays and Sundays until March of 2017 when I moved into the Monday through Friday day time head secretary position. I live here in Hubbard so I'm fortunate to have something I enjoy doing so close to home. My professional background is in graphic design and I've been able to do a little of that here at the pool along with my secretarial duties. I've done t-shirt designs, logos, flyers, and signs pretty much since I started so, chances are, you've seen some of my work. In my spare time I like to do crafts, read and spend time outside, no matter what weather northeast Ohio throws at us! Working at the pool has allowed me to meet so many new people, if you don't already know us here, stop by and I'll be happy to show you around. About: Craig Yaniglos was the Aquatic Director of the Hubbard Community Pool in 2005-2017. He now teaches Aquatic Fitness classes. He is a big help on day to day activities and helps out with the aquatic fitness classes. Specialty: Craig specializes in high intensity shallow water classes such as Tabata, PlyoJam and Aqua Combat. Class Formats Taught: Shallow, Deep, Arthritis, Water in Motion, Aqua Zumba. Awards and Honors: IAFC Presenter (2013, 2015, 2016, 2017), Arthritis Foundation Services and Programming Committee (2009 thru 2012), AEA Advisory Committee (2015). lifeguard and secretary. The pool is like home to me and I love my HCP family! Aquatic Fitness is pure MAGIC and we are so lucky to have such a wonderful facility available to us. Teaching at the pool is SO rewarding, and I love being a part of helping our members get healthy and live their best lives! About: Hi, I'm Missy and I began teaching aquatic fitness in 2014. I am excited to be a part of something so intense and invigorating. I have been instructing land classes and weight lifting for a long time and love it, but there is just something about aquatics that gives a new meaning to the words fun and enjoyment. I love the passion from the members and it truly reminds me everyday why I love this line of work. Nothing is more rewarding then to watch your members or clients reach and exceed their goals!! Specialty: Balance, Flexibility, Range of Motion, corrective Movements patterns, Extreme Weight Loss. I love this area of fitness because it is the building blocks that all other fitness levels are built on. If you do not have these, your fitness program is unstable and incomplete. The rewards in the end is not when a client can sees where they are, but can look back and see how far they have come. Class Formats Taught: Shallow, Arthritis, Senior Splash. n instructor at night, Teaching has given me a renewed excitement and something I love to do, helping others. I hope to see you soon! Joe has been a swimmer his entire life and decided to branch into the world of aquatic fitness in May 2014. Joe likes to inspire members to push themselves and reach his/her personal goals in the pool. Joe teaches aerobics, swim lessons, coaches our Summer Swim League program and is a lifeguard! Specialty: Joe specializes in a wide range of classes usually with high intensity exercises that work the entire body, yet still achieves a great range of motion to help ease tired muscles and soothe the joints!